Erick Cedeño has a philosophy: Explore everything. And that he does. On two wheels. Originally from Panama, Cedeño and his family moved to the U.S. when he was only 14 years old. Even with the cultural shift aside — leaving his Latin American homeland for the North American “Sunshine State” of Florida — Cedeño’s childhood wasn’t especially easy, and he learned the importance of having his own transportation at an early age. Too young to drive, Cedeño started riding a bicycle. 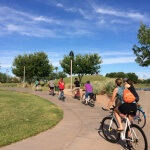 While almost all kids learn to ride a bike at some point in their lives, for Cedeño, 41, the act of riding became more than just a way to pass the time. 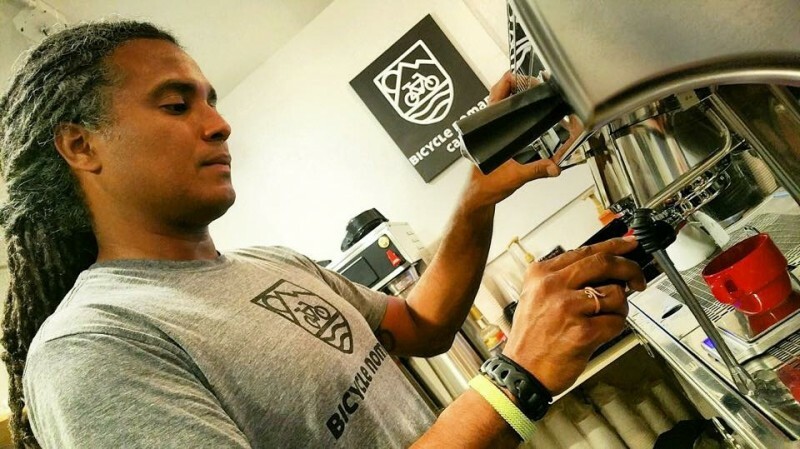 Although he never consciously planned to move to downtown Phoenix and open his own coffee shop inside The Velo bike shop at 828 N 2nd Street, it was Cedeño’s love of this two-wheeled form of transportation that made the opportunity possible. After living a car-free life for more than 12 years, for Cedeño, bikes have become a way of life and ultimately a huge part of his identity. Known by nearly 6,000 Instagrammers as “Bicycle Nomad,” Cedeño has traveled more than 15,000 miles in the past four years solely on his bike. And he has collected many memories (and followers) along the way. After starting with “small” 75-mile trips from Miami to West Palm Beach, Cedeño got hooked and decided he needed more of a personal challenge. “I wanted to do something epic,” he said. 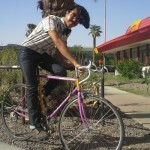 Naturally, he planned a trip and rode his bike 2,200 miles from Vancouver, Canada to Tijuana, Mexico. A few years later, he traveled across the other side of the county to travel the history of the underground railroad from New Orleans to Canada. Over time, Cedeño (a.k.a. Bicycle Nomad) he has gained a large international following on social media as he captures the beauty of life wherever his pedals take him. “I wish you could see what I’ve seen,” he said. But his social media efforts started somewhat out of guilt. 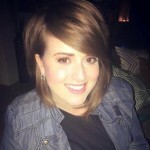 “My dad was nervous about my travels and said, ‘Let’s keep in touch through Facebook, you can use it to post pictures so I know you’re ok,’” Cedeño said. Pretty soon his friends encouraged him to try more. 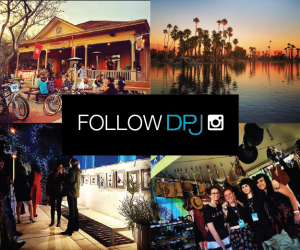 “As I started traveling, some of my friends were like, ‘Your pictures are awesome! Can you go on Instagram?’” And shortly after with the encouragement of his former girlfriend to market and brand his growing identity, Bicycle Nomad was born. After deciding he wanted a change, and becoming familiar with the Phoenix area because of his frequent travels for work, Cedeño decided to move to Phoenix. 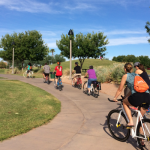 For a rider like Cedeño, Phoenix offers a lot of benefits. 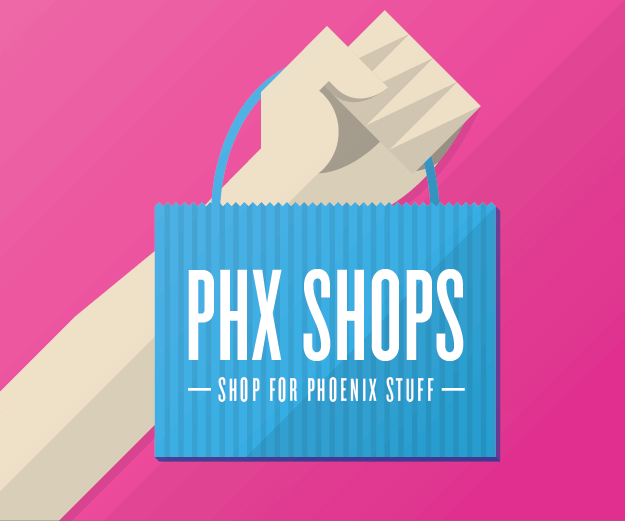 “Phoenix is good because it is flat, it has a good light rail system,” he said. Unsure of how he was going to make a steady income (though he does sell branded Bicycle Nomad T-shirts and badges online), one of his Phoenician friends encouraged the visit The Velo. When he arrived he noticed there was a coffee shop inside, but immediately imagined much room for opportunity. He wanted to open his very own Bicycle Nomad Cafe. After introducing himself to The Velo’s owner, Jason Boles, he set the ball rolling and within two months, Cedeño was planning to open up shop. New to the food industry, Cedeño is still wearing his training wheels, but he’s got some great local products behind him. 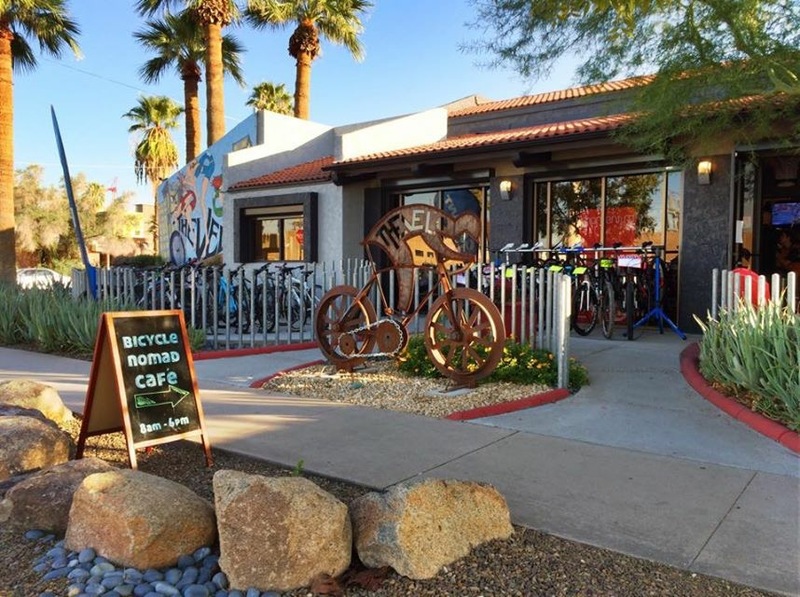 Local roaster Press Coffee has created a special house blend just for Bicycle Nomad Cafe, and Cedeño will also be serving teas by Maya Teas of Tucson. 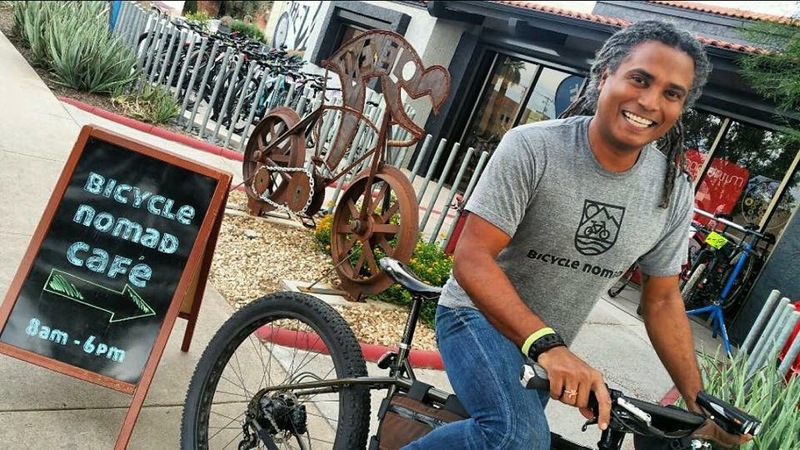 Cedeño wants Bicycle Nomad Cafe to be another healthy option in downtown Phoenix and wants to incorporate vegan paninis, smoothies and other items into the menu. On of his signature drinks is a whole young coconut with the top sliced off, two espresso shots slung inside and a straw to top if off. “It has been really popular,” Cedeño said. 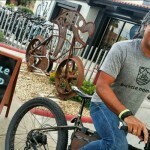 While Bicycle Nomad Café has just gotten off the ground, Cedeño already has a vision for his next positive impact in the Phoenix community. “My ultimate goal here in Phoenix is to work with youth,” said Cedeño who would like to donate bikes to inner city underprivileged kids. 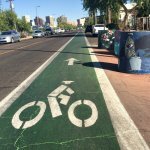 “I know what bikes do for people,” Cedeño said. 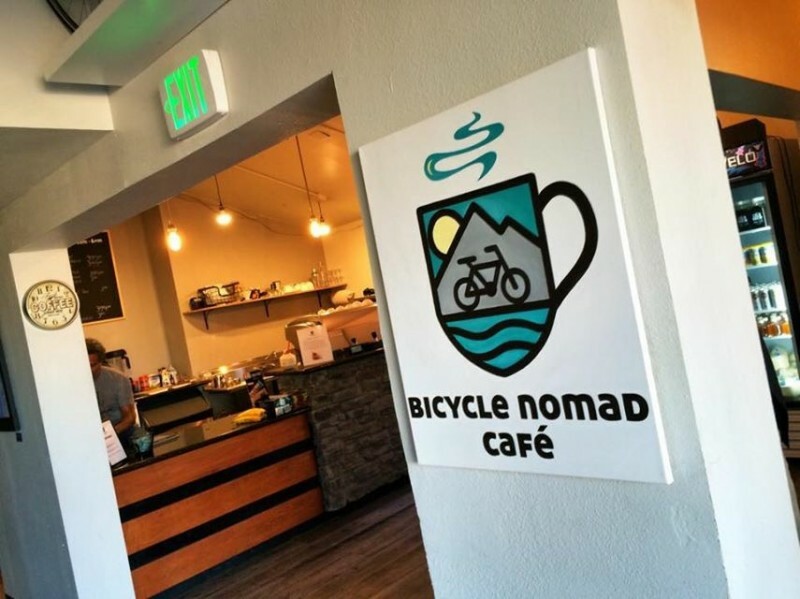 They’ve officially been open for a couple weeks, but Cedeño is excited to invite the community to the Bicycle Nomad Cafe’s grand opening on Saturday, November 14. Prior to that, they will be open for November’s First Friday on the 7th from 8 a.m. – 9 p.m. and tomorrow, Saturday, October 31st, they’ll feature a live Latin jazz group from 9 a.m. – 11 a.m.
Needless to say, Cedeño is excited for what’s in store for Bicycle Nomad Cafe. The business will be open 8am – 6pm daily.